Retro Homebrew & Console News is a site that has the latest Retro Homebrew News, DCEmu Hosted Coder Releases, Interviews, History and Tutorials, Part of the DCEmu Homebrew & Gaming Network. Myst Was Supposed To Change the Face of Gaming. What Is Its Legacy? On 24 September 1993, computer users were introduced to Myst. Grantland takes a look at the game's legacy, two decades on. Quoting: 'Twenty years ago, people talked about Myst the same way they talked about The Sopranos during its first season: as one of those rare works that irrevocably changed its medium. It certainly felt like nothing in gaming would or could be the same after it. Yes, Myst went on to sell more than 6 million copies and was declared a game-changer (so to speak), widely credited with launching the era of CD-ROM gaming. It launched an equally critically adored and commercially successful sequel, and eventually four more installments. Fans and critics alike held their breath in anticipation of the tidal wave of exploratory, open-ended gaming that was supposed to follow, waiting to be drowned in a sea of new worlds. And then, nothing.' Why didn't Myst have a larger impact? By now you should be familiar with MAME arcade cabinets and their ability to emulate any classic arcade machine from the days of yore. PinMAME is a similar setup to reconstruct classic pinball machines on computer monitors, but its popularity is nothing compared to the machines that play everything from Galaga to The Simpson’s arcade game. We won’t speculate on the reasons for that, but we do know how to make pinball emulation awesome – you need to emulate the buzzing and 60 Hz hum of solenoids found in the original machines. This project comes from [Brendan Schrader] of the Hive76 hackerspace in Philly. It gives emulated pinball machines the tactile and haptic feedback required for a proper PinMAME setup. Inside [Brendan]‘s box are two monitors, one for the backglass and one for the playfield, and a small computer to run the PinMAME software. Also in the box are a few transducers usually used to turn any flat solid surface into a speaker. [Brendan] sent the audio output from the pinball emulation to a set of speakers and the ‘mechanical sounds’ audio to the transducer mounted to the chassis. The difference between haptic feedback and no haptic feedback is amazing, and something every PinMAME setup desperately needs. Unfortunately, [Brendan] says he lives a decade in the past and doesn’t do the whole interwebs and email thing. He tells us he’ll send in a build log in a week or so, and we’ll put that up when it comes in. Hyperkin, maker of the five-in-one retro machine, has announced that theRetroN 5 will launch on December 10 for $99.99 in the US and €89.99 in Europe. According to the company, Amazon's listing of an October 31 release date earlier this month was a placeholder. Regardless, the December release date marks a significant delay from the system's planned summer launch. Hyperkin chalks it up to "several key modifications made to the console shown at E3." The console is now better ventilated, and it will also allow the use of the Sega Power Base Converter, a peripheral originally designed to let the Sega Genesis play Sega Master System games. 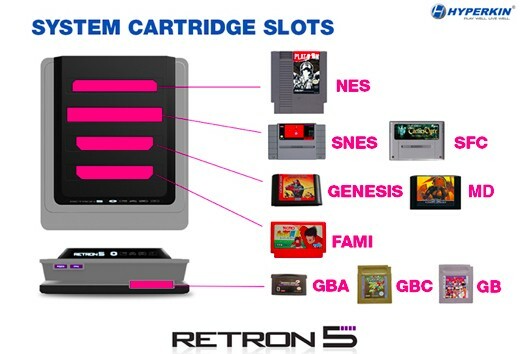 Lest you've forgotten the RetroN 5's other bells and whistles, it plays NES, SNES, Genesis, Game Boy Advance (w/ Game Boy and Game Boy Color support) and Famicom games. The console features HDMI output, game speed control and support for save states. And, in addition to its own wireless controllers, it has ports for Genesis, SNES and NES controllers. It's kind of bananas. It's been almost too long since we've seen something (in)appropriated to satisfy a twisted modder's Doom craving, and this time, it's not the hardware running Id Software's classic game that's ill-fitted, but the controller. If the timeline on David Hayward's Vine account is accurate, a crew of what appear to be professional tinkerers has turned one old piano into an awkward keyboard in little more than 24 hours. Details on how this was achieved are limited, but it seems to involve some basic PC interfacing and a "load of wiring." 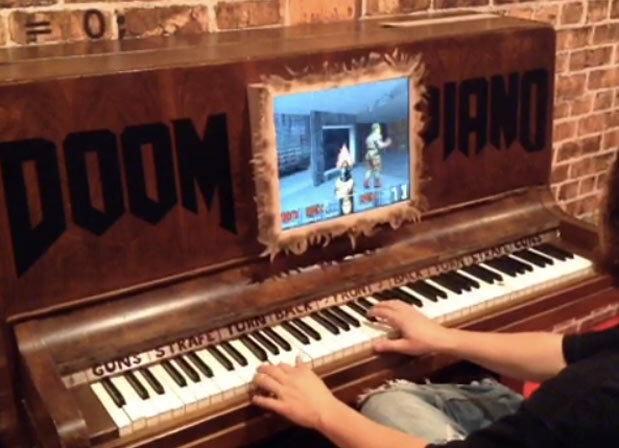 Head past the break to catch the noisy mod in action, and if you'd like to a see a few more clips of the "Doom Piano" in development, hit up Hayward's Vine profile. Now, which one's the BFG chord? Yet another age-old gaming IP is to try its luck on Kickstarter. As revealed on Facebook by one of the original game’s developers, IP owner Gameware Europe is to kick off a James Pond Kickstarter on September 20th. “Even now 20 years later people still ask me about James Pond,” Chris Sorrell stated in a video that can be seen below. “After seeing Robocod ported to every platform under the sun… it seems like Pond really needs to get with the times. “I’ve never owned the rights to the brand so it wasn’t until they asked me to be part of this campaign that I had the chance to think about this. It struck me that if we could make an all-new Pond game that takes the best qualities of the old games but brings everything right up to date then that could be something pretty cool. James Pond was released in 1990 on the Mega Drive, Amiga and Atari ST although it was arguably its successor, James Pond 2: Robocod that has the larger legacy. This time we return to 1993 with the latest fully restored issue of Super Play. It's been a while since we released the last issue of Super Play, but that is because this issue needed some extra polish and attention before it was ready to be released. Have a quick look at one of the pages that needed some extensive work. As always, we have selected four preview articles so you can get a feel for the issue while the full magazine is downloading. The first feature takes a look at Video Game Music and the people who create it. Then we take an in-depth look at Street Fighter II Turbo. And finally we look at the review for Super Bomberman as well as the Japanese only release of SD Great Battle III. Hyperrealistic graphics may be the standard for gaming, but (Warning: Loud video volume) is a welcomed detour into vivid, low-res delight. Built for a course at the University of Oslo by [Abdimaalik], [Martin], [Andre], [Eivind], and [Stian], Game of Light has a handful game options, some of which allow up to four players. The build uses eight DE-DP14211 LED dot matrix boards, each with 32×16 bi-color LEDs and a built-in HT1632C display controller to handle the multiplexing. They are mounted together to form the 64×64 resolution display. The box was custom-made out of what we suspect is acrylic, and uses some 3D printed pieces to offset the top from the bottom and to hold components in place. SNES controllers send data to the Arduino, which also runs the games and feeds the display controllers. Buried in the mix are two fans to keep the components cool. 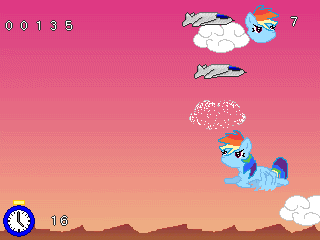 Everything is open source, so race to Github for source code and the games. For another LED matrix project with a lot of gaming potential, check out [Brad's] PS2 mouse interface that lets him interactively draw in real-time. Six months after the release of the patch for Vol.1: Swordsman of Harmonia, here comes the patch for Vol.2: Duel at Crystal Valley. Suikogaiden Vol.2 is a Visual Novel spin-off to the Suikoden series and takes place about 6 months after the end of Suikoden II, featuring the continued adventures of the hero from Vol.1: Nash Latkje. Fans of the series won’t want to miss out on this chance to see what some characters from Suikoden II did right after the Dunan Unification War, and fans of Vol.1 will want to see the continued misadventures of Nash. The patch was created by old and new members of the Suikogaiden Translation Project, this time led by Raww Le Klueze with significant help from Kestrel, Graeme Howard and Magi on the translation side and Pokeytax on the coding side. As an bonus for die-hard Suikoden fans, and to celebrate the release of Suikogaiden Vol. 2, Suikoden Card Stories has been fully translated into English as well. Suikoden Card Stories is a CCG-style RPG for the Game Boy Advance. Players assemble a deck of Suikoden II characters and duel their opponents on missions and locations related to the Suikoden II plot. The storyline is an abridged version of Suikoden II’s with a few small additions and differences. This is a side project by one of the non-translators on the Suikogaiden team; players shouldn’t expect the same level of quality and polish. But this is a fun experience for Suikoden fanatics who can live with card game mechanics, and a fairly novel if limited RPG in its own right. Don’t forget to check out Suikogaiden Vol. 1 & II! Very observant fans may remember seeing this translation patch before. This is a fully repaired version of that translation, with many bug fixes, some script improvements, all segments accessible, and the restoration of some dummied content. Mini arcade cabinet builds are fairly common, but we’ve never seen anything like [Jurgen]‘smini vector Asteroids cabinet that takes an original Asteroids circuit board and a true vector monitor and shrinks it down to table top size. Unlike the raster monitors of a later generation’s arcade games, the original Asteroids cabinet used a vector monitor just like one would find in an oscilloscope. [Jurgen] found the perfect CRT in, of all places, a broken Vectrex console. The video circuitry in the Vectrex was rather primitive and the beam deflection was far too slow for the video signals generated by the Asteroids PCB. To get around this, [Jurgen] added a custom XY driver board. While the Asteroids game – and other vector Atari games – were designed for a screen with 1 MHz of bandwidth, [Jurgen] found that 300 kHz was ‘good enough’ to display proper Asteroids graphics. While the cabinet isn’t a miniaturized version of any proper cabinet, [Jurgen] did manage to build a rather nice looking case for his luggable version of Asteroids. The exposed PCB on the back is a great touch, and an awesome project for any ancient video game aficionado. This has been a game that’s been a dream project for retranslation just because of its popularity and subject matter. However, there was a minor roadblock that prevented it from happening for a short time. The storage of the script used what is called Pascal strings where no end control codes are used and instead a byte is used setting the length of a string and thus when to stop. This method is usually not handled by generic script tools and we needed a custom solution. Fortunately, a good friend of ours and excellent programmer and hacker, Esperknight, extracted the script and work got started. A help wanted ad on RHDN(A favorite feature for the best site and community on the internet) was put up and almost immediately contact was made with an excellent translator. Many a translator, associates and friends haven been found through the help wanted ads over the years and this development comes as no surprise. catfoodmoney diligently translated the script and work resumed on the project. First thing that needed to be done was to hack the big 16×16 font down into a much nicer 8×8 font, that was a piece of cake. Because the game used the big font and plenty of kanji, there was plenty of space leftover when the font was replaced which was used to relocate part of the script. We ended up with over twice the physical space for the translation and more than enough room for a quality translation. 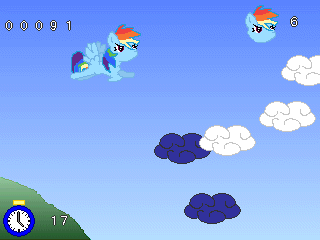 Also the game had a few limitations that were very annoying. The game was capable of multiple screens of text per text string, but you first had to fill the screen before it would be cleared. A control code was added so that the screen could be cleared anytime. Also because of the Pascal strings, the text was limited to #$FF hex bytes which equates to 255 characters. This limitation did not work with some of the longer strings and something had to be done. So the Pascal strings were replaced with a simple end control code and the limitation overcome. Shoutouts go to FlashPV for the really cool title screen and Carnivol for being a diligent tester. The new monster editor allows you to change the details of individual monsters, including not only their HP, Exp, Gil values, battle stats, and elemental and other special properties, but also their item drops, and even their AI behaviour and reaction scripts. In addition, there is now a formation editor which allows you to edit particular battles, including what groups of monsters are fought, as well as various other properties such as whether you can flee from the fight or not, or whether you will get game over from losing the fight or not. Finally, the new encounters editor allows you to manipulate what groups of monsters you can randomly encounter in what areas. In atari2600land‘s Plim Aliens have landed and are trying to annoy Frank! Can Frank survive the alien onslaught of annoyingness? Added static back on the TV in the intro. Level 7a finished. I’ve been a little busy, and haven’t got as much done the past couple days. I’m trying to add the first boss. A will’o wisp. This creature will jump to a new lane when slain. And has to be defeated several times. However his graphics are giving me problems. For some reason I haven’t figured out yet, he only looks proper on lane 8. On all the other lanes we looks like a deformed fighter. 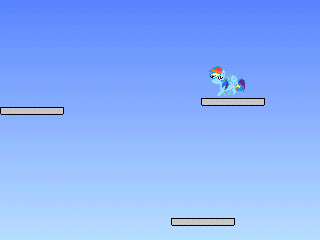 Once I get him added, I’m going to add the ability of monsters to grapple the player. So that when they are grabbed, they are damaged until the player can wriggle out, while the player can’t damage them, until freed. Potions won’t work during grappling, you need you hands free to fight or use magic. but I really want to enter neo retro compo again! So, I made this cute game "Bug Hunt" version for pc engine. a very modest game entry, but maybe some body can enjoy it. Thank you NEO TEAM for hosting this fun compo every year, It is so great ! That will be my last update , i hope you'll enjoy it ! Nyastrocat is my first program for the Astrocade (and also my first attempt at creating a program for a retro console): it plays back 7 frames of the Nyan Cat GIF while beeping the Nyan Cat tune. I've tested this in MAME's emulation of Robby Roto, an Astrocade-based arcade machine; it should also run in MESS's emulation of the Astrocade as well as on real hardware. I tried to RLE-encode all the images, however, my RLE decoding code fails on some frames of the Nyancat animation as well as on the NEO badge, so I've used text for the splash screen. Sigh. Thanks to prguitarman for creating the original Poptart Kitty animation, and to Purufufuru for his transcription of the Nyancat song. Been a while since the last update due to lingering health issues that I'm having to be dealth with. But anyway, here is the latest issue of Mean Machines. We start of this update with A Boy and His Blob for the NES, followed by two more NES games: Solstice and Super Spike V'Ball. Then we look at one of the very first Super Famicom reviews from Mean Machines: F-Zero. And finally we take a look at a rather underrated game for the Mega Drive: WrestleWar.